Suffolk University Law School, J.D. Jim began his practice with the Massachusetts Department of Labor & Industries handling prevailing wage rate enforcement and public construction bid protests. He moved to the Associated General Contractors of Mass. Inc. in 1977 and was named its Executive Director in 1981. He joined John D. O’Reilly, III in July 1986 and formed the firm of O’Reilly and Grosso. Jim represents the major construction industry employer associations in New England, including the negotiation of their collective bargaining agreements with seven different labor unions. 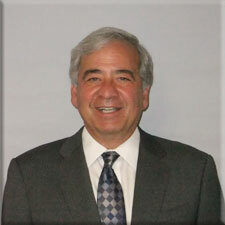 He represents individual employers, including international construction firms, in dispute resolution procedures including mediation and arbitration and appears before the National Labor Relations Board regularly. Jim is counsel to several Taft-Hartley pension, health and annuity funds in New England advising clients on compliance with the Employee Retirement Income Security Act (ERISA), the Pension Protection Act (PPA), the Health Insurance Portability and Accountability Act (HIPAA) and the Affordable Care Act (ACA). On behalf of the Commonwealth of Massachusetts, he negotiated Project Labor Agreements for all construction at the University of Massachusetts Boston Campus, the Longfellow and Whittier Bridge Projects and The Route 91 Viaduct. He has also negotiated Project Labor Agreements in the private sector for large pharmaceutical companies including Bristol Myers Squibb and Novartis and for The Gillette Stadium. While his practice is centered in the construction industry, he also represents clients in the trucking and energy industries. Jim has represented clients before the United States District Courts in Connecticut, Maine, Massachusetts and Rhode Island and in the Chancery Court of New Jersey. He has appeared several times before the First Circuit Court of Appeals and has tried numerous jury cases in the superior courts of Massachusetts in both employment discrimination matters and construction claim litigation. He has also participated in multiple arbitrations to resolve collective bargaining disputes. He regularly engages in mediation to settle civil litigation and has served as an impartial arbitrator in commercial cases. Jim is the recipient of the Cushing-Gavin Award for Excellence in Labor Relations. 2019 ©O'Reilly, Grosso, Gross & Jones, P.C. All Rights Reserved. This web site may constitute "advertising" under Massachusetts Supreme Judicial Court Rule 3:07. The material contained on this web site has been prepared for educational purposes only and is not to be considered legal advice. Please note that by sending an email through this site, you agree your message will not create any attorney-client relationship and that O'Reilly, Grosso, Gross & Jones, P.C. is not obligated to treat as privileged or confidential any information contained in your email. Please do not send any sensitive or confidential information through our site. You also agree that O'Reilly, Grosso, Gross & Jones, P.C. has no obligation to you until it has expressly accepted you as a client and executed a written agreement for legal services with you.